CCP Gransden is the only Northern Ireland business involved in the £35m research project confirmed by Prime Minister The Rt Hon Theresa May MP at the Zero Emission Vehicles Summit in Birmingham. Jim Erskine, Managing Director of CCP Gransden. 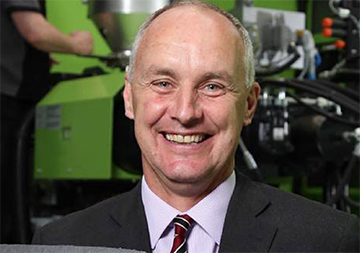 Speaking of the appointment, Jim Erskine, Managing Director of CCP Gransden, said: “We have developed an advanced composite manufacturing cell that is highly automated and enables us to manufacture composite parts at a fast rate and to a high quality.